Comprised of two Twin Cities music scene veterans, Tomato Tomato breathes new life into your favorite songs. The band's wide repertoire, spanning from The Beatles to Wilco to Old Crow Medicine Show, is sure to please all walks of musical life. 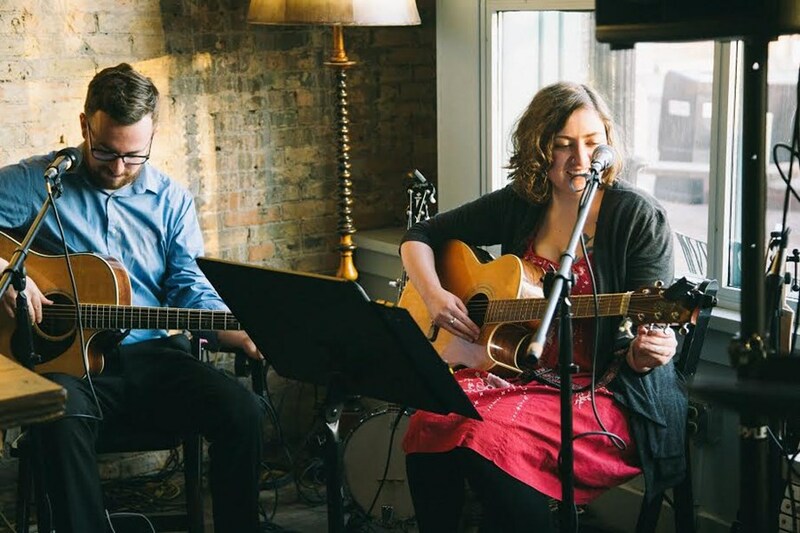 Through tender ballads and raucous barn-burners, Tomato Tomato's rich harmonies and warm acoustic instrumentation are the perfect soundtrack to your event. I'm sure you're looking through a lot of pages for acoustic acts that, on the surface, may look a lot like us. What sets us apart is a real passion for the music we play. When you hire Tomato Tomato, you won't just get some tired old couple that shows up, plays their hastily learned songs, and bails. 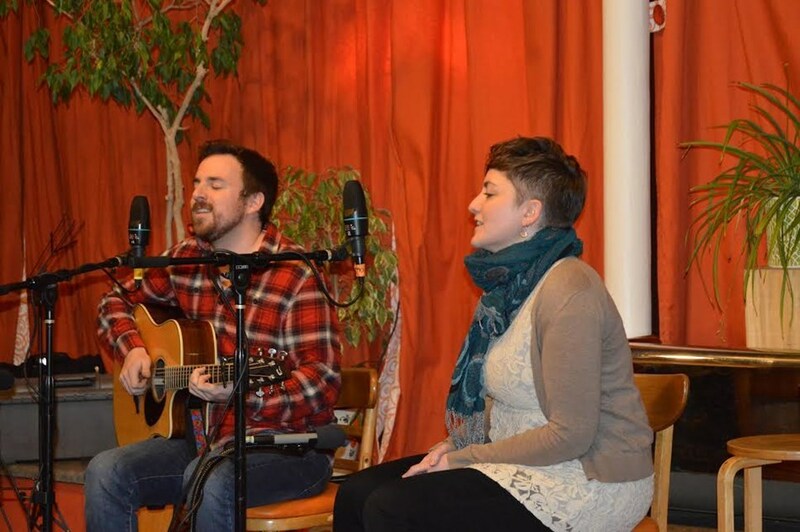 You'll get a youthful, energetic acoustic duo that pours their heart into each and every tune. We actually love every song we play. So, you know that when you book Tomato Tomato, you're getting a band that is thrilled to be there. And, as I'm sure you know, excitement is contagious. If the band's excited to be there, your guests are too. An amazing local duo! The song list was amazing, and their custom arrangements of various selections were on point. 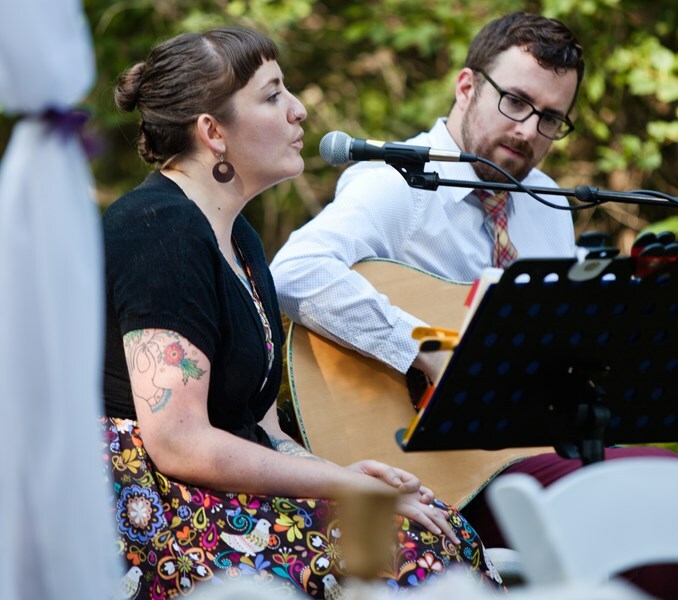 Many of our wedding guests noted the music was the highlight of the event. I would recommend Tomato Tomato in a heart beat to anyone looking for a band. Very professional and very entertaining Thank you we really enjoyed it. Love, love, love Tomato Tomato! Marc and Laura were easy to communicate with prior to our event, they arrived early to set up their equipment and all of the music was wonderful to listen to! They played a wide variety of songs and many of the guests commented on how much they enjoyed their performance. Tomato Tomato would be great for many different types of events and we highly recommend them! Thanks again, Marc and Laura! Please note Tomato Tomato will also travel to Saint Paul, Arden Hills, Hopkins, Mendota, Plymouth, Bloomington, Mendota Heights, Minnetonka, Eden Prairie, Maple Grove, Minnetonka Beach, Orono, Osseo, South Saint Paul, Wayzata, Circle Pines, Inver Grove Heights, Champlin, Burnsville, Chanhassen, Crystal Bay, Long Lake, Newport, Savage, Willernie, Excelsior, Hamel, Saint Paul Park, Dayton, Hugo.